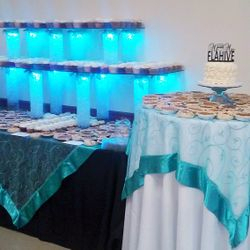 Dessert buffets are becoming more and more popular for many wedding receptions, either in place of the traditional wedding cake or in addition to it, providing something sweet for everyone’s taste. 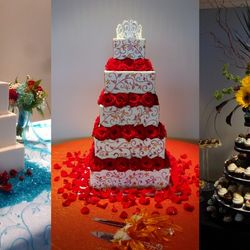 It also serves as a spectacular centerpiece and gets your guests up and mingling! 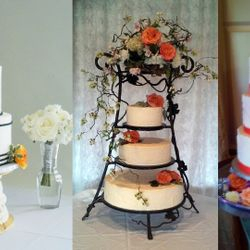 Most brides simply provide us with a list of the candy and they are providing and leave it up to us to choose a selection of vases and containers along with the appropriate scoops/ladles that would work for an layered and interesting display. 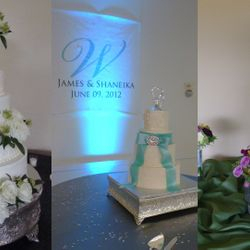 You can either pick up the containers to set up yourself, or we can come in the day of to get it all taken care of for you! 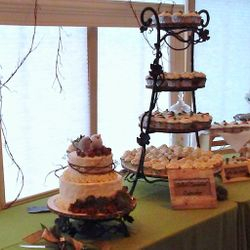 See our selection of cake and dessert displays available to rent or call us to discuss a custom display for your wedding or event.